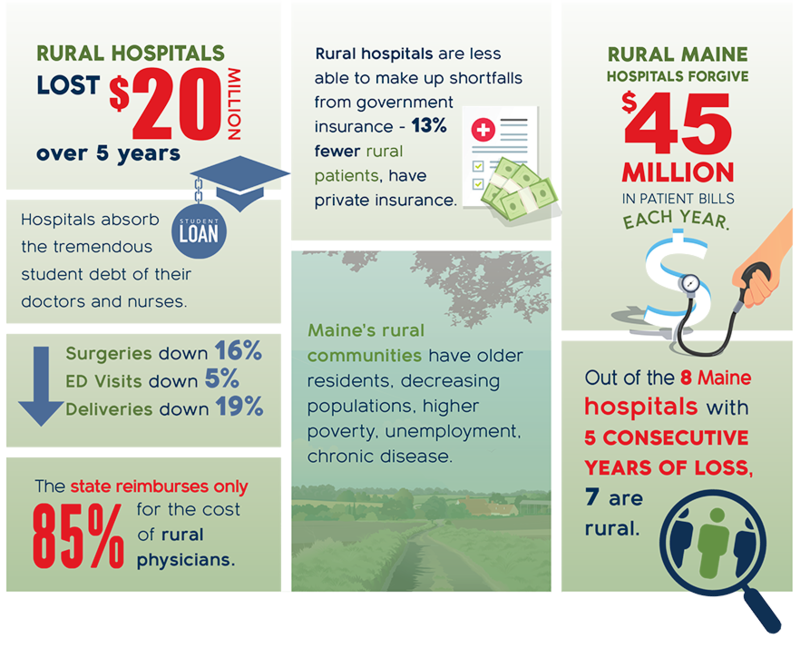 Maine's rural hospitals are woven into the fabric of their communities; helping families live, work, play and thrive. 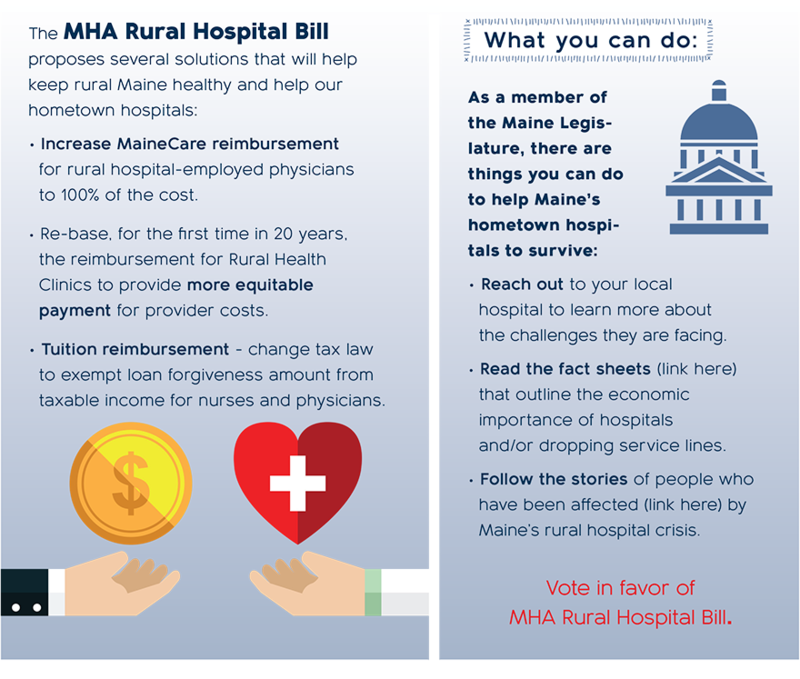 But Maine's rural hospitals are not thriving: they need immediate help to continue to meet the needs of those they care for and about. Maine's rural hosprtals are woven into the fabric of their communities; helping families live, work, play and thrive. 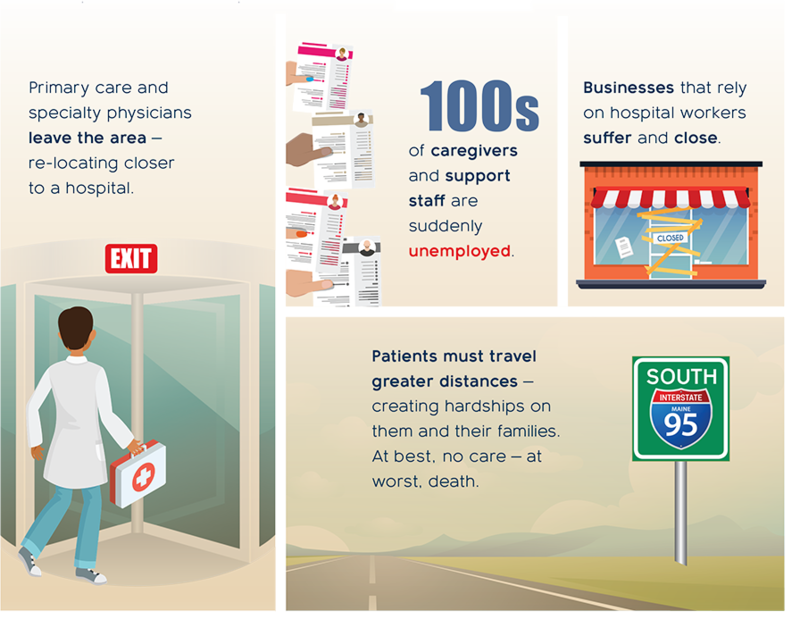 But Maine's rural hosprtals are not thriving: they need immediate help to continue to meet the needs of those they care for and about.